Photos taken at or around Bridgnorth. LNER Class A3 no. 60103 'Flying Scotsman' is seen at Bridgnorth, on a layover between trains. 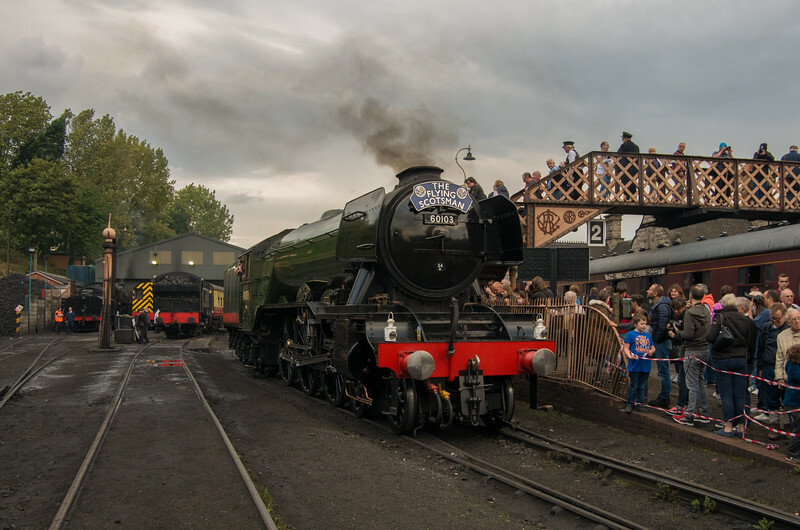 Photo taken during the Severn Valley Railway's 'Pacific Power' event, which brought 60103 'Flying Scotsman' and 60163 'Tornado' together for the first time.